With the clear, simple strength of a living handcraft, Stephen Gerould lamps add a beautifully subtle depth of character to the interiors they inhabit. The fluid, natural shapes of his designs are intuitive yet classic. Defying the imposed constraints of an identifiable genre, they work effortlessly between cultures — Asian, European, and American. 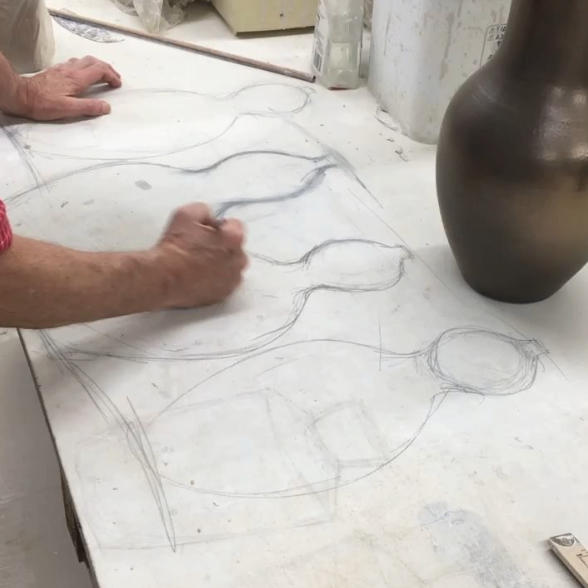 Gerould's exceptional range of glazes offer designers a color-rich palette, some translucent and sensitive to the clay surface — others derive their character from variables of temperature and atmosphere. His collection is eclectic, evolving, and abidingly current.